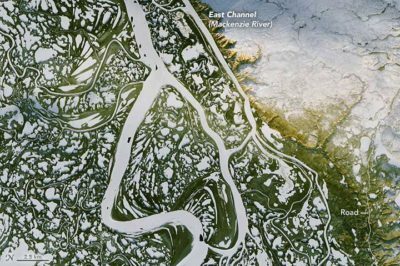 During the cold winter months, parts of Canada’s Mackenzie River become a ice road that trucks up to 22,000 pounds can navigate. Tract-to-Tract Commutes of 80km/50 miles or less in the Bay Area. Nelson & Rae, 2016. A study using data from 130 million commuters has revealed commuter-driven megaregions in the United States. There is a new effort to create a national transit map to find the places in America that are being under-serviced (or not serviced at all) by public transportation methods. 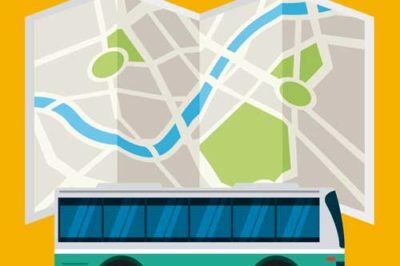 A new initiative by the U.S. Transportation Department is compiling transportation data from transportation companies around the country to find transit deserts. 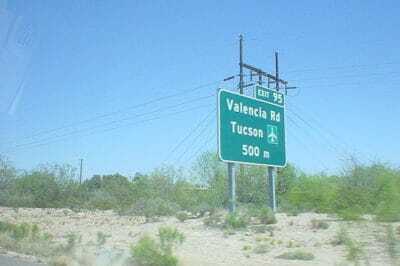 A road sign on Interstate 19 just south of Tucson taken April 18, 2005. Photo: NicAgent, Wikimedia. 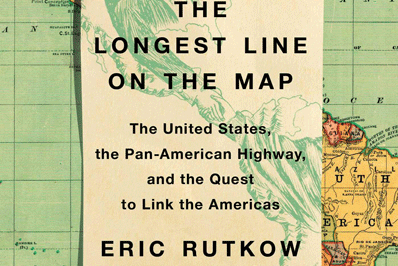 Currently, only three countries in the world have not adopted the metric system as the standard: The United States, Myanmar, and Liberia. 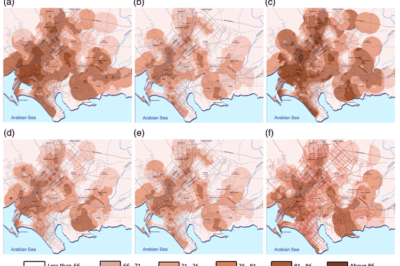 Three scientists have concluded that having more routing options can actually slow down the overall rate of travel. 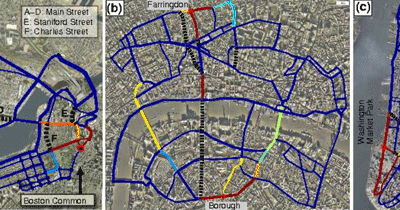 More access routes results in Braess’s Paradox. Highspeed Rail Plans for the U.S.